I woke up this morning and thought to myself, why not a bright sunshiny day at Coney Island? 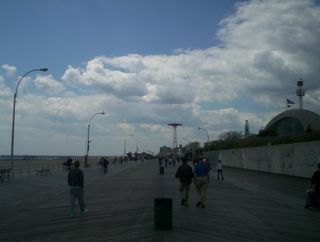 So after doing some morning shopping, I decided to head down for an afternoon at Coney Island. What an adventure! I took the G train to Coney Island. Why the G? Because the F train was under construction and the G was routed down to Coney Island. Now that all New Yorkers have been taken care of in terms of subway routing (and all non-New Yorkers totally confused on what I am typing about) on with the story. I walked down from the Stillwell Avenue station to the Boardwalk next to the beach in the beautiful sunshine. I walked all the way down to near the Brighton Beach subway station. Then I returned as much as possible on the street. However, I was eventually forced to come back onto the boardwalk as streets ended and I just figured, "hey instead of getting lost, lets just head back the way I came." 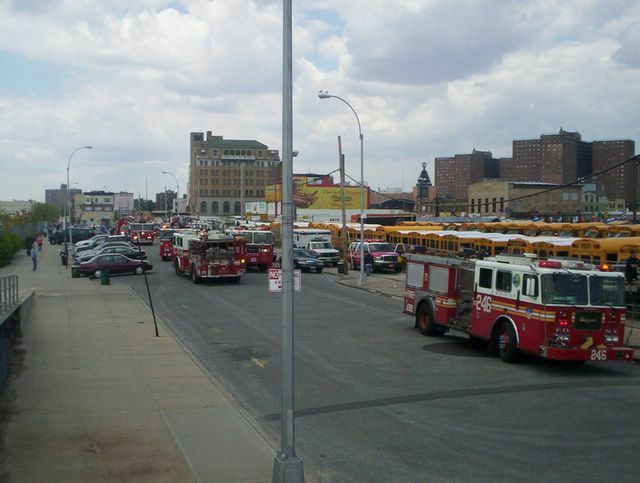 While on the street coming back I saw one fire truck after another screaming westward. I thought nothing of it considering "this is New York City." 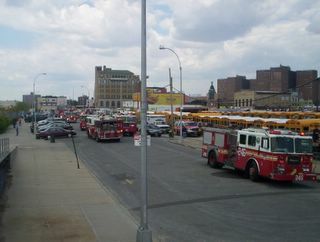 Finally, a look at the plethora of the fire trucks responding to this crash. According to New York 1 , 4 people are now dead after the cessna crashed shortly after 1:30 P.M. into the beach at Coney Island. The beach, because it was such a cool day, had just the odd person. So no one was injured or killed on the ground. There were fire trucks, ambulances, police cruisers and other such emergency support vehicles all around the boardwalk. 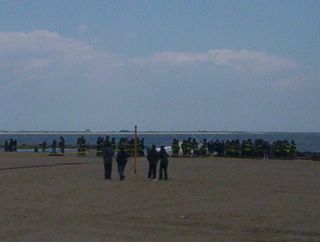 Eventually the NYPD closed off the boardwalk to people. 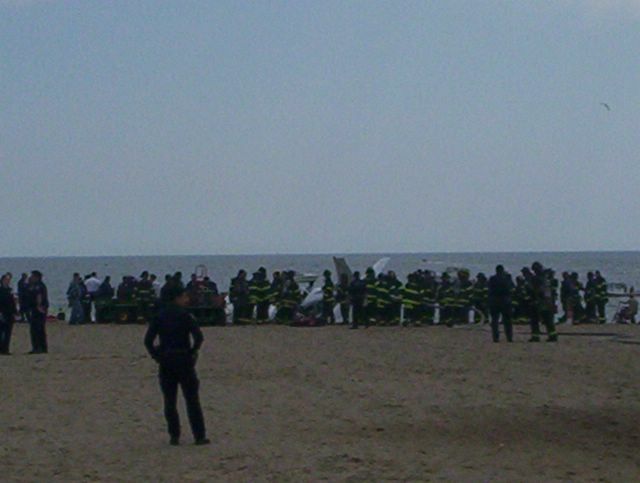 All in all, the walk started out well with a bright sunshiny day, but didn't end too well considering the plane crash. That is an amazing story. You should post your photos here too. no thanks. Don't intend to be in the news gathering business. However, if you would like to link the entry of my blog to the site, please do.